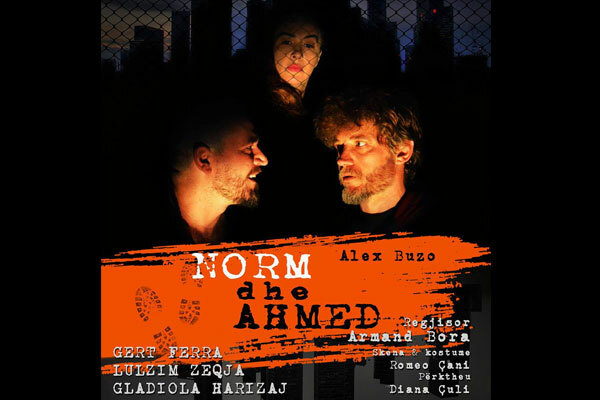 The latest premier of "Norm and Ahmed" of the National Theater comes on 5-6-7-11-12-13-14 April in arTurbina. In the late hours of the night, at a bus stop station on the outskirts of Sydney, not far from the rocky shore of the Pacific Ocean, Norm and Ahmed will meet with confessing us an old story as human history itself. "Norm and Ahmed" is the work that introduced the Albanian-Australian author Alex Buzo, among the best writers of the Australian continent. Written in a language and style where there are no situations and moods of humor, irony and sarcasm. Appreciated with several awards and ranked in several countries around the world, this work continues to open debates and strong discussions on the subject and the fierce conflict. Reservations at ☎️ 04 222 30 22 on the schedule from 09:00 to 13:00 and from 16:00 to 19:00.